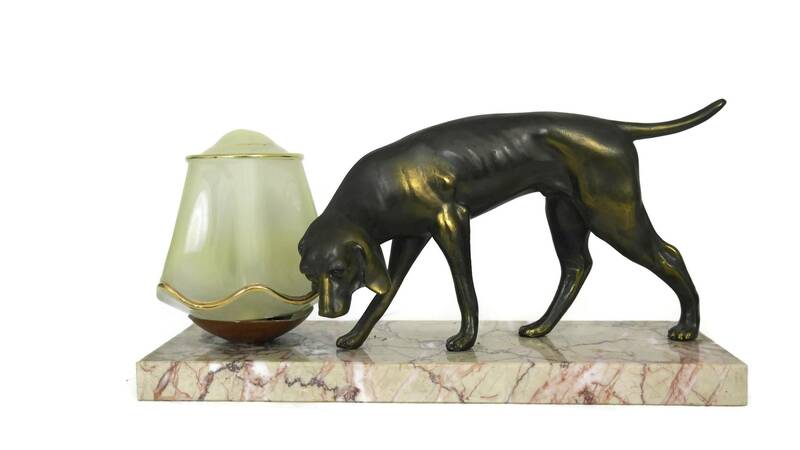 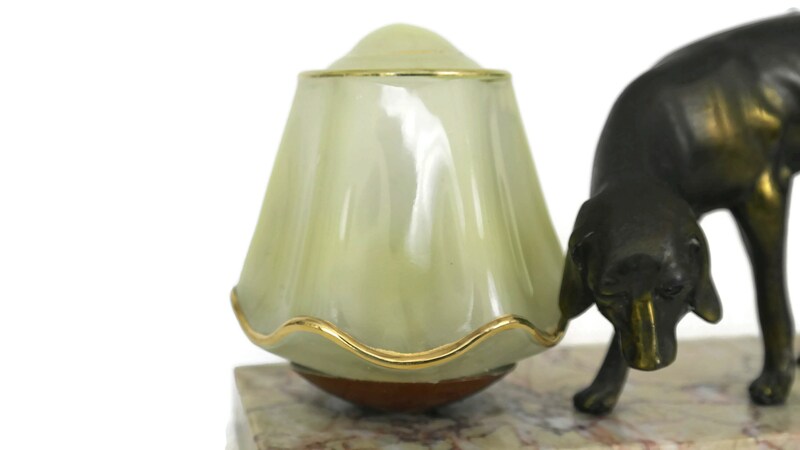 An Art Deco dog statue table lamp manufactured in France during the late 1930's. 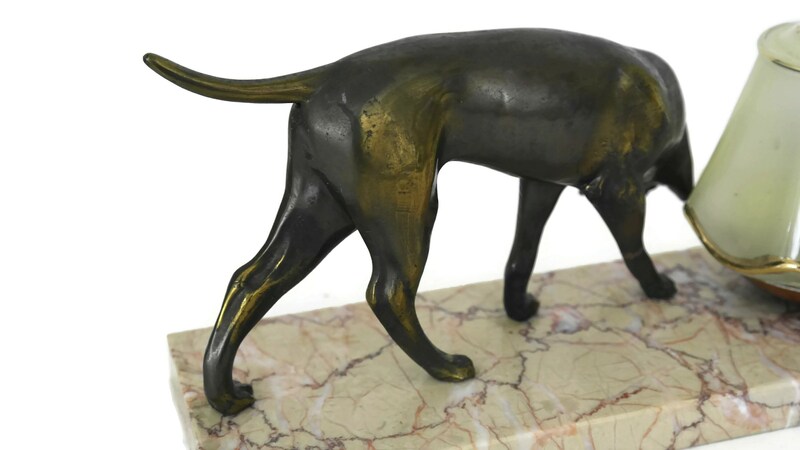 It features a large pointer dog figurine which has been finely cast from spelter with an aged bronze patina. 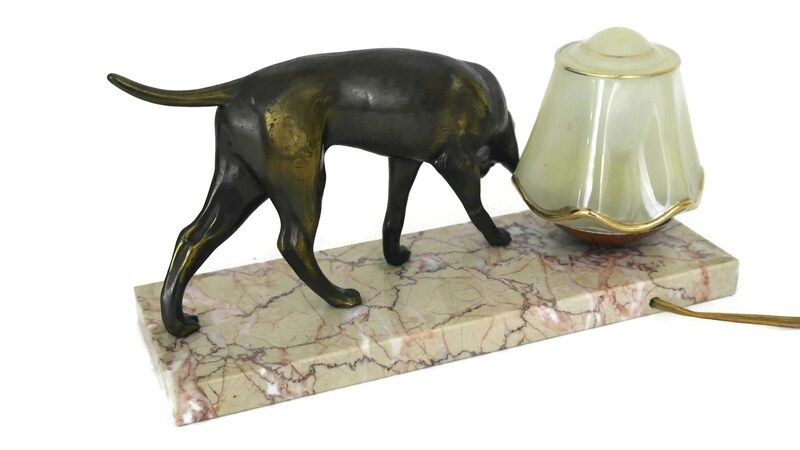 The dog is supported by a polished marble base. 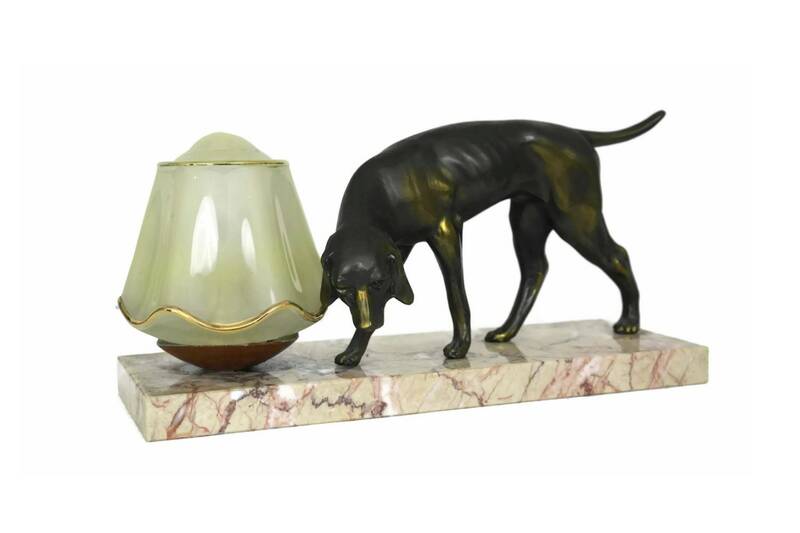 The light fitting features an opaque glass shade decorated with gilt patterns. 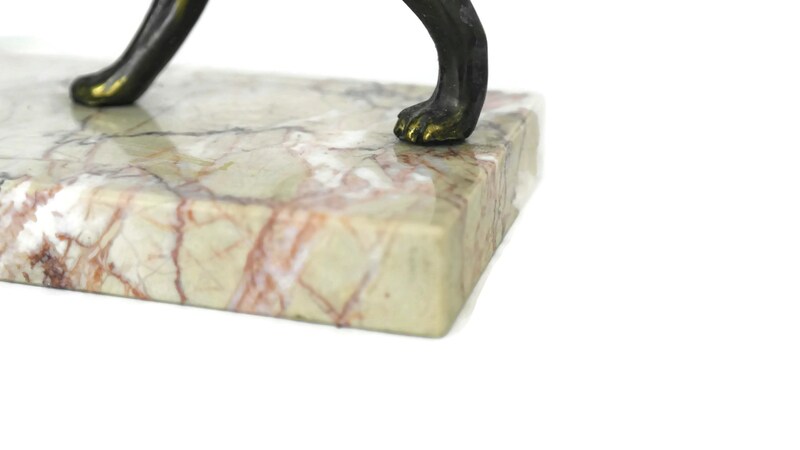 (30 cm x 15 cm x 10 cm). 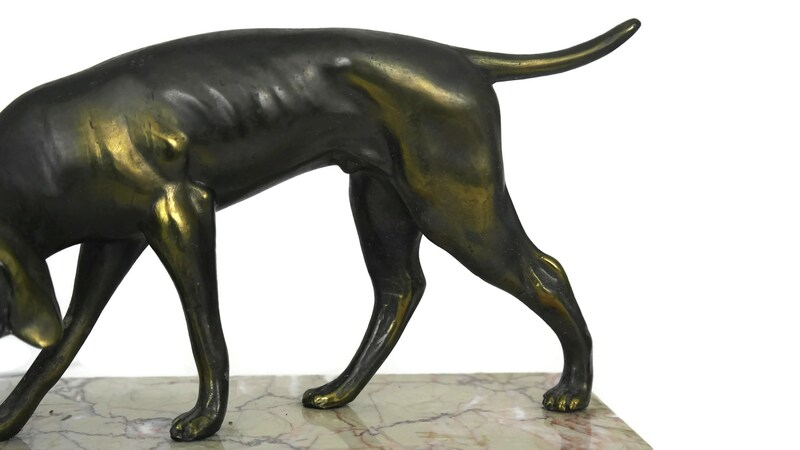 The hunting dog figure is 9" Long x 5" High (23 cm x 13 cm). 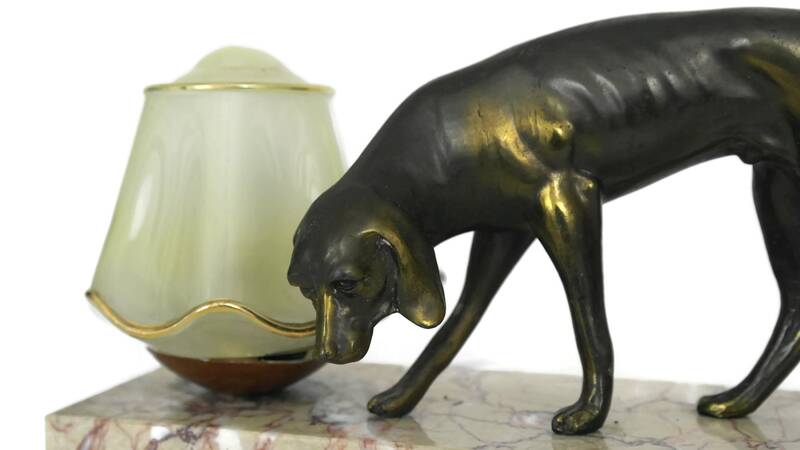 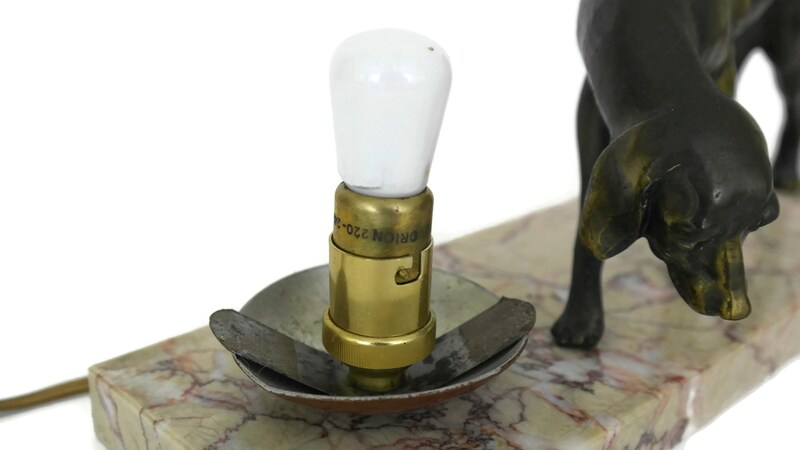 The Art Deco dog lamp is in very good condition and is in working order. 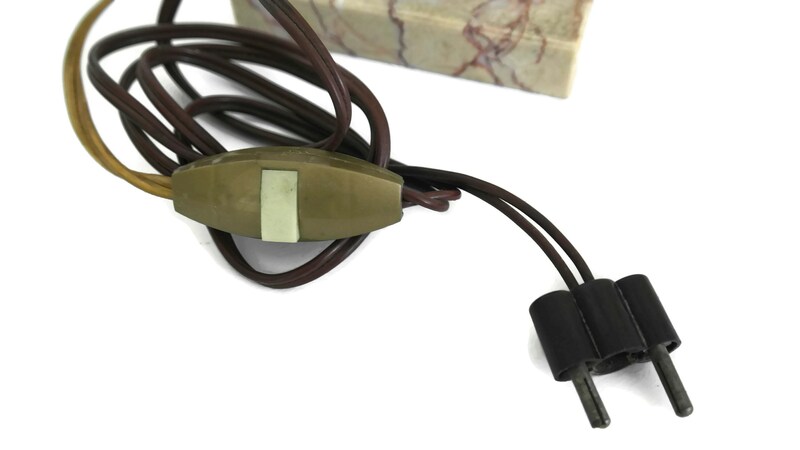 As it has its original wiring it is strongly recommended that the electrical fittings be changed to meet modern safety standards.